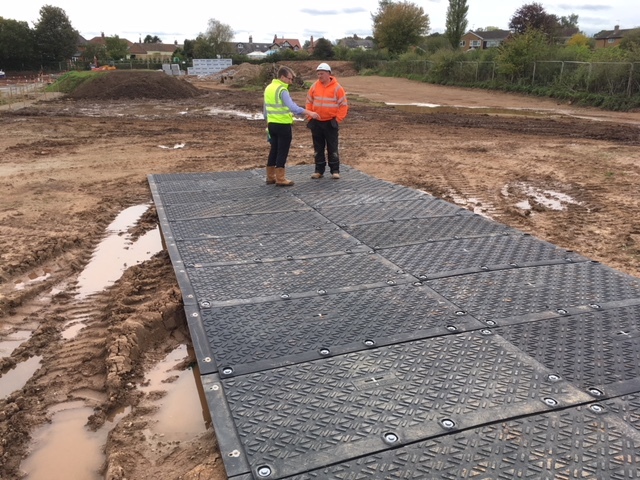 A major housing development required the creation of a temporary haul road to enable heavy plant and machinery to mobilise safely on site. Heavy rain had made the ground extremely soft and wet, causing severe rutting and difficult working conditions. 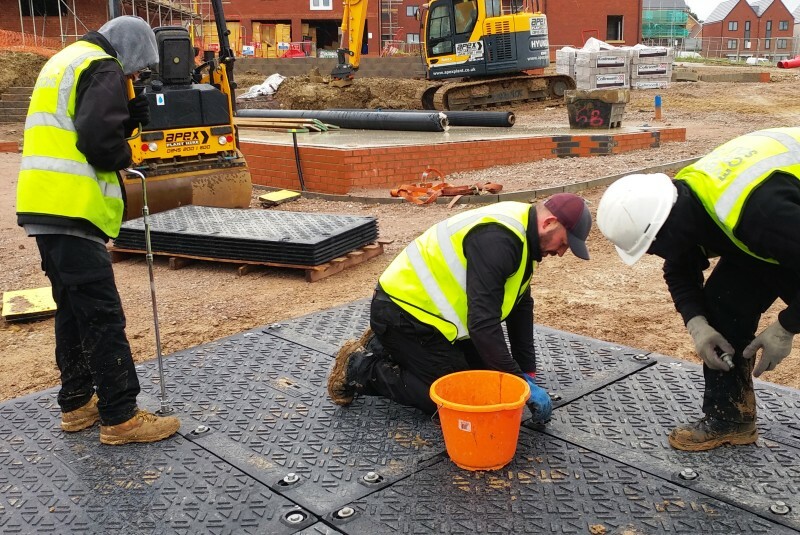 The Ground-Guards team made a site visit and recommended MaxiTrack as the ideal solution; the client was happy to trial this. 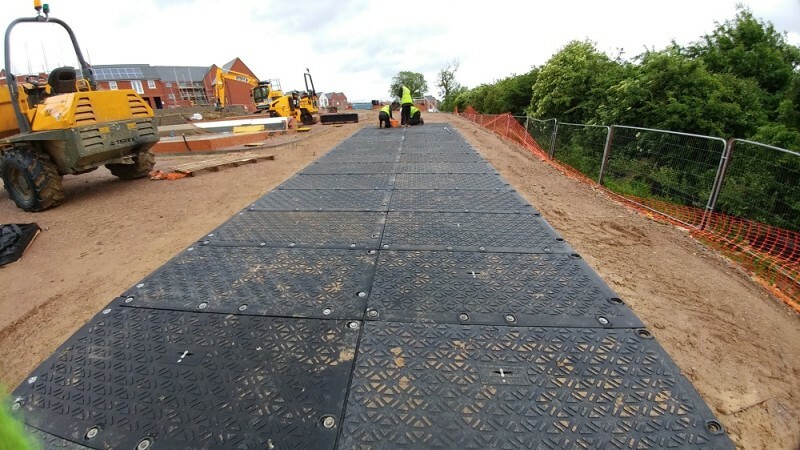 MaxiTrack has overlapping joints, flexible enough to cope with the undulating ground. This is ideal for preventing mud seepage whilst catering for heat expansion or cooling. 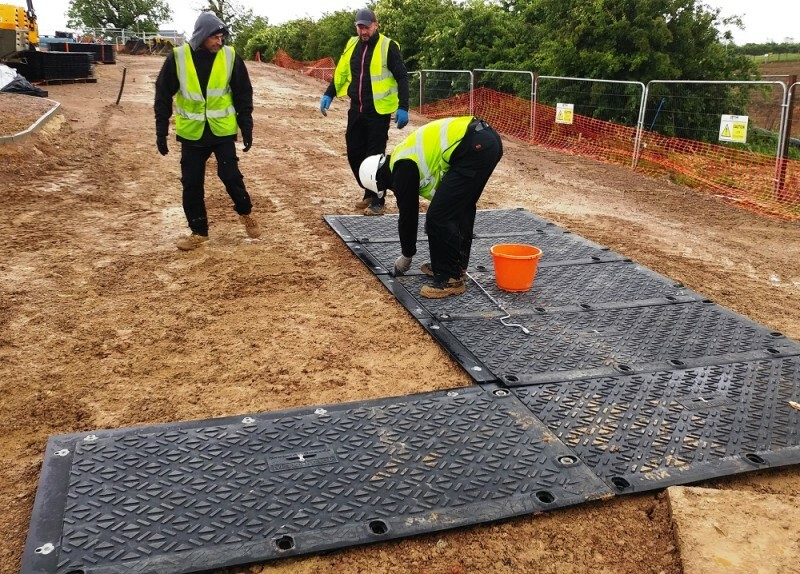 The mats, which are highly portable at only 40kg each, are very strong and guaranteed unbreakable for vehicles up to 130 tonnes: perfect for the cranes, excavators and heavy machinery that require access across the boggy site. 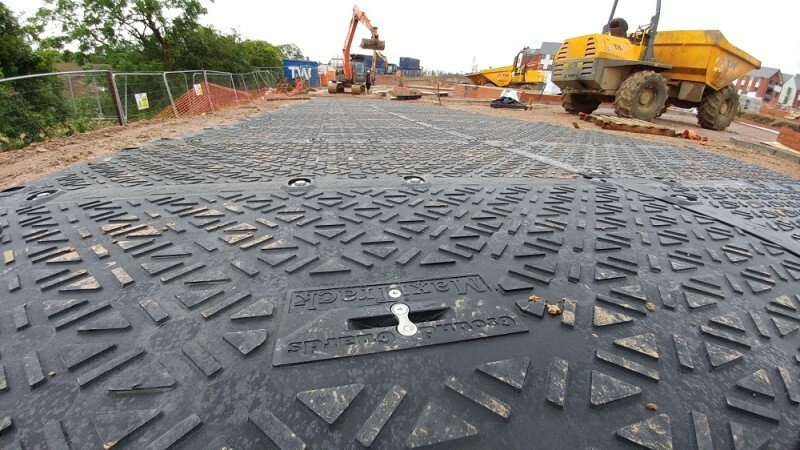 A series of temporary haul roads were created in next to no time – a safe, efficient and cost-effective way to ensure the smooth operation of the development project. The client was delighted with the results.